It looks like Blac Chyna has made a chess move!! E! 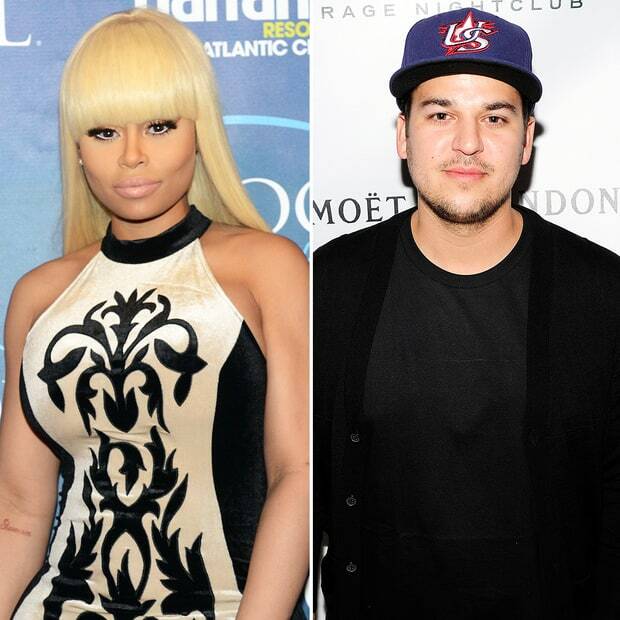 News can confirm that Rob is dating Blac Chyna, but it’s a tad complicated. A source tells us that there is “concern” surrounding the pairing because the insider feels that she is “preying” on Rob “during a weak time.” The source is also concerned that she is only using him to get back at Kylie Jenner. Kylie and the model have been rumored to be feuding for a long time, given Chyna’s previous relationship with rapper Tyga. She and Tyga share one child together. Chyna first sparked rumors when she posted a photo of her cuddling with Rob, but he was cut out. All that could be seen was his tattooed arm. “The beginning,” she captioned the pic. Candi Say’s: I’m not going to jump to conclusions too quickly being that Blac Chyna loves to keep the people talking. But I will say that if she is dating Rob, that move is crazy and the K camp girls can NOT feel any type of way because Karma is real. Grabs popcorn!